Designer Andrew Demko's minimalist style is evident in the Cold Steel Tiger Claw. 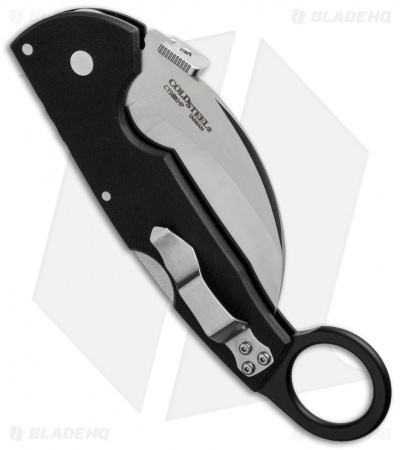 This folding Karambit knife features the Tri-Ad lock and a thin, yet durable, G-10 handle with a matte black aluminum finger ring. It is paired with a premium Carpenter CTS-XHP stainless steel hawkbill blade with thumb disk and fully serrated edge. 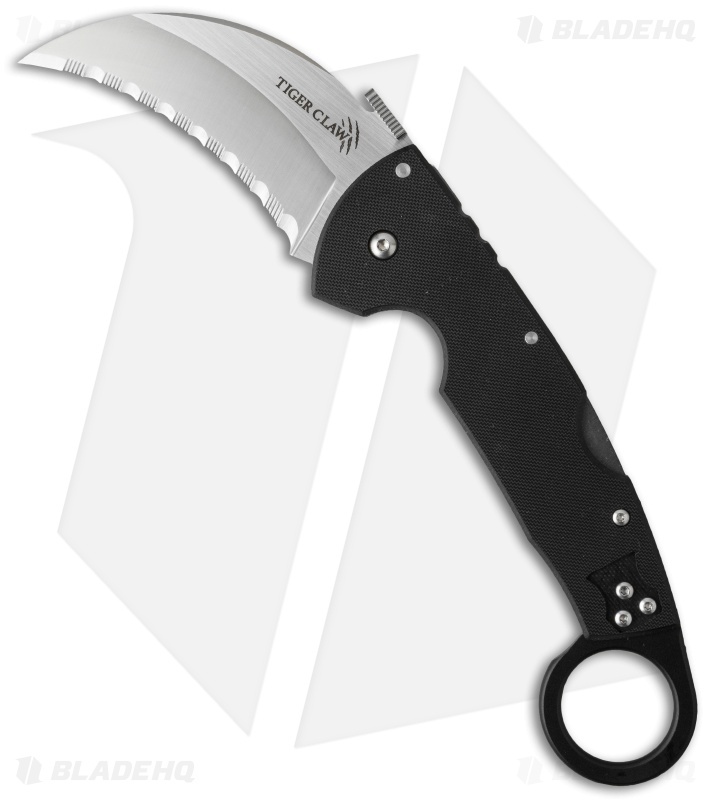 The power of the Tiger Claw is impressive and it's a highly functional design.